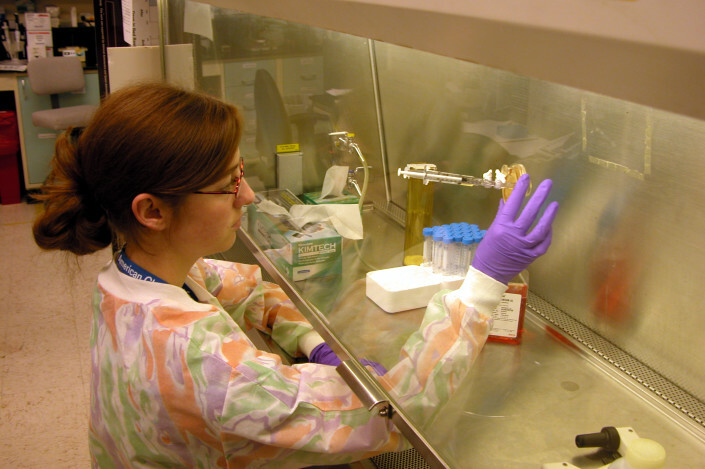 Saint Louis University’s Abigail Young analyzes cell samples for a project to determine the effects of microgravity and radiation on the reactivation of the Epstein-Barr virus in the human body. Each year, young scientists from the NSBRI-sponsored Mentored Research Program participate in a 10-week summer enrichment program in Houston. The program includes a week of space life sciences lectures followed by a nine-week assignment in a NASA Johnson Space Center laboratory. Read More. 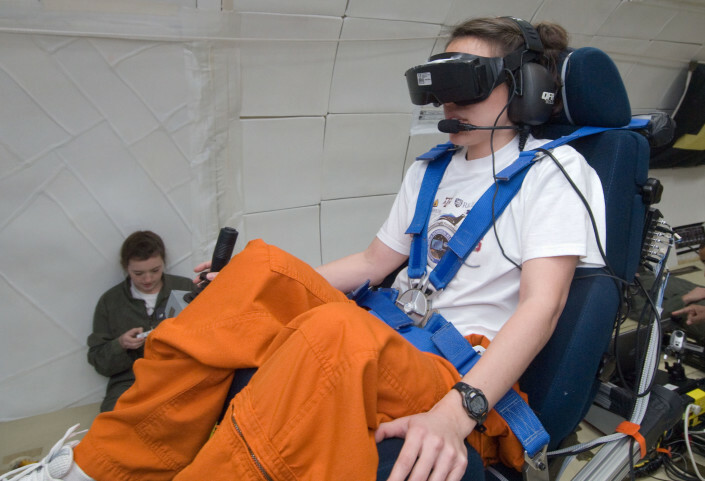 Kara Beaton, seated in the experiment’s tilted chair, performed the virtual navigation task with and without the help of the tactile cueing of her orientation. Kate Montgomery, seated on floor, operates the experiment. Photo by NASA. 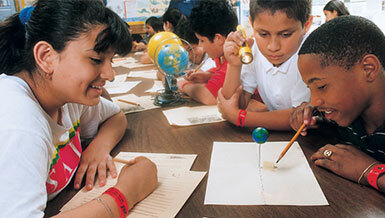 NASA sponsors educational programs targeted to a variety of education levels. NASA programs related to space life science. Read More.